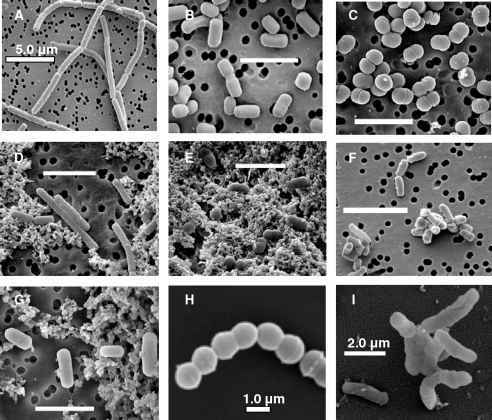 Heterofermentative lactic acid bacteria metabolize hexoses via the phosphoketolase pathway (Figure 2-11). In obligate heterofer-mentative bacteria, aldolase is absent, and instead the enzyme phosphoketolase is present. Approximately equimolar amounts of lactate, acetate, ethanol and CO2 are produced, along with only one mole of ATP per hexose. Oxidation of NADH and maintenance of the [NADH]/[NAD+] balance occurs via the two reductive reactions catalyzed by acetaldehyde dehydrogenase and alcohol dehydrogenase. Many of the lactic acid bacteria used in food fermentations are heterofermentative. Included are L. mesenteroides subsp. cremoris and Leuconostoc lactis (used in dairy fermentations), L. mesenteroides subsp. mesen-teroides and Leuconostoc kimchii (used in fermented vegetables), O. oeni (used in wine fermentations), and Lactobacillus sanfrancis-censis (used in sourdough bread). In general, the product yields for both pathways may vary during actual fermentation processes, and depend on the type and concentration of substrate, the growth temperature and atmospheric conditions, and the growth phase of the cells. Certainly some of the carbohydrate carbon is incorporated into cell mass. However, it has also been shown that under certain conditions, such as sugar-limitation or aerobiosis, homofermentative lactococci can divert some of the pyruvate away from lactate and toward other alternative end-products, such as acetate and CO2.This so-called hetero-lactic fermentation may provide cells with additional ATP or serve as a way to deal with excess pyruvate (Box 2-3).